Ahlen, September 2015. – Every year, well over half a million patients in hospitals contract infections caused by germs. Most cases are attributed to a lack of hygiene. The wash areas in patient and treatment rooms and in areas accessible to the public pose a particularly high risk of infection. Chemical disinfection of the hands often has limited effect as a preventive measure. Wash areas therefore should be made of a material with an unbeatable hygienic surface that is easy to clean and leaves behind not the slightest trace of germs or bacteria. Kaldewei steel enamel has proven superior here for decades, with clear material advantages that benefit such areas as the hospital bathroom. 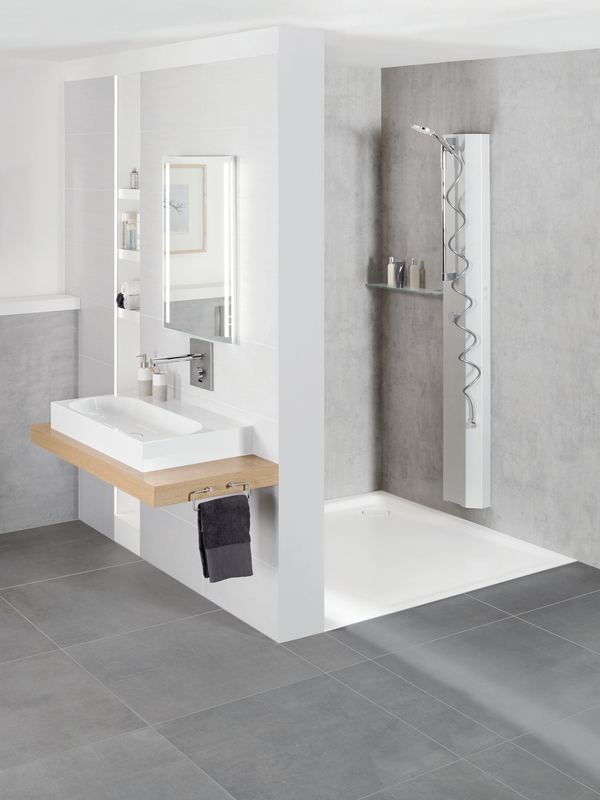 Now Kaldewei has added washbasins to its portfolio, thus extending the superior qualities of this unique material to the important wash area that completes the floor-level enamelled shower surfaces and bathtubs. With the new washbasins made of steel enamel, Kaldewei offers the optimal solution for the design of hospital wash areas. The pore-free surface is provided with the Kaldewei easy-clean finish as a standard, ensuring that water and dirt simply roll off the steel enamel surface and not even the tiniest scratches occur despite years of daily use and cleaning, leaving nowhere for germs or bacteria to settle. The surface is returned to spotless perfection in no time with a guaranteed efficient use of resources. The new Kaldewei washbasins are available in five model series for use in a wide variety of areas – from patient bathroom and treatment room through to public washrooms for visitors. With up to five installation options – from undercounter, built-in and inset countertop or countertop styles through to wall-hung washbasins – they suit any installation situation. For optimal use, for example by patients in wheelchairs and invalid chairs, the washbasins can be mounted flexibly at the required height. Featuring a hidden overflow, the washbasins of the Cono and Centro series are particularly hygienic, as they are designed without an overflow hole where germs may hide. Kaldewei demonstrates its expertise as a partner in the fit-out of hospital wash areas with resilient, durable and exceptionally hygienic product solutions made of steel enamel. 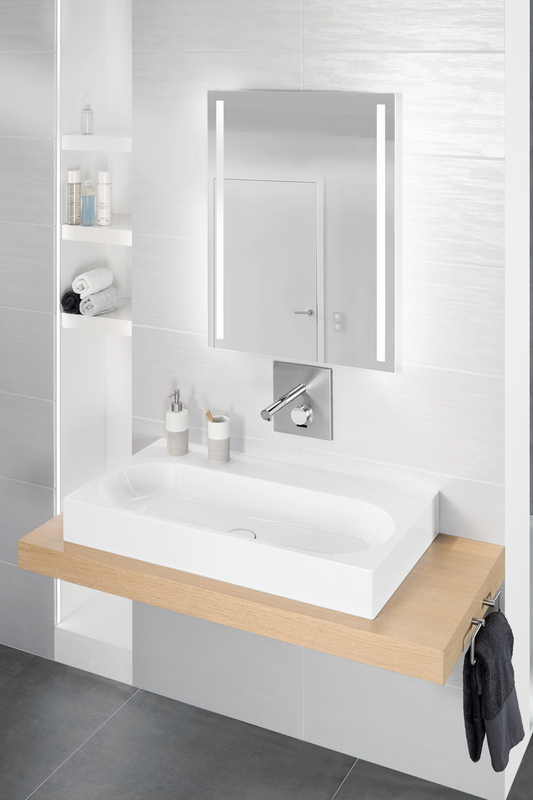 Introducing the new washbasin segment means that bathroom designers are now able to plan a beautifully coordinated patient bathroom – from the shower and bathtub through to the wash area – made completely of a single, superior material supplied by a brand manufacturer. This unique quality is backed by Kaldewei with a 30-year guarantee on all its washbasins made of steel enamel. 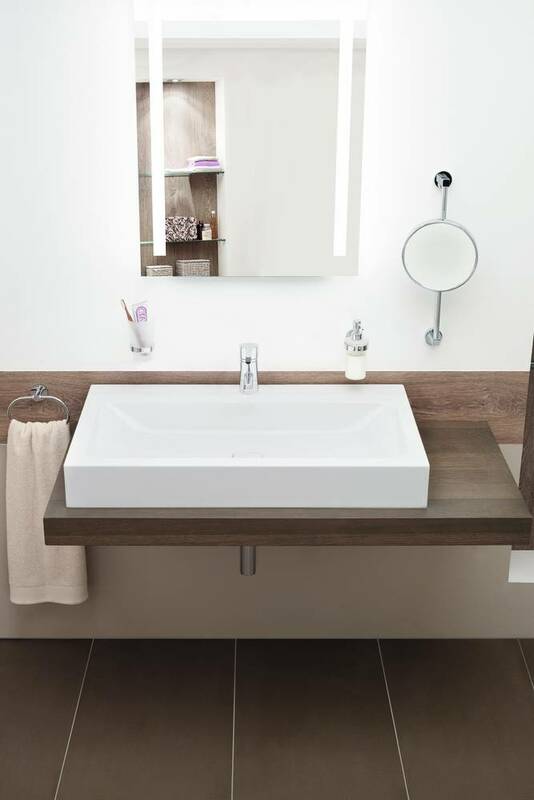 Countertop washbasin Cono and enamelled shower surface Conoflat. 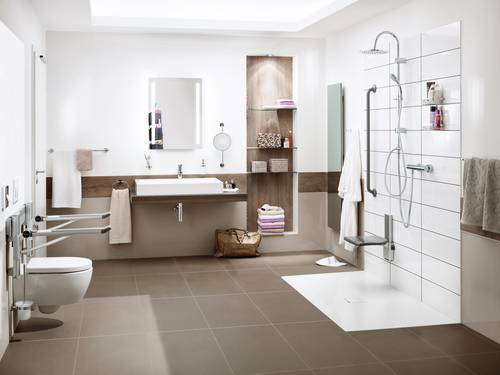 Excellent hygienic properties and durability make Kaldewei steel enamel the perfect choice for the fit-out of hospital bathrooms. Now Kaldewei has added washbasins to its portfolio, thus extending the superior qualities of this unique material to the important wash area that completes the diverse product range. Countertop washbasin Cono. Featuring a hidden overflow, the washbasins of the Cono and Centro series are particularly hygienic, as they are designed without an overflow hole where germs may hide. The washbasins therefore meet the stringent hygiene standards required in a hospital. Countertop washbasin Centro and shower surface Superplan Plus. The pore-free surface is provided with the Kaldewei easy-clean finish as a standard, ensuring that water and dirt simply roll off the steel enamel surface and not even the tiniest scratches occur despite years of daily use and cleaning, leaving nowhere for germs or bacteria to settle. The surface is returned to spotless perfection in no time with a guaranteed efficient use of resources. Countertop washbasin Centro. The new Kaldewei washbasins are available in five model series for use in diverse areas – from patient bathroom and treatment room through to public washrooms for visitors.